Sounds like wishful thinking… But the answer is YES! It is very difficult to find stuff in Classical Arabic online. There is religious stuff, yes, but if you are more into TV series à la Netflix, it sounds like wishful thinking. No contemporary TV drama will be filmed in Classical Arabic. 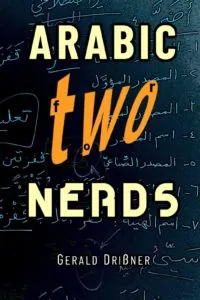 However, there is at least one professional TV series (مُسَلْسَل) in Classical Arabic with very good English subtitles – which makes it a perfect tool for studying Arabic. It is called Omar and is about the life of Umar ibn al-Khattāb (عُمَر بن الْخَطّاب), the second Caliph of Islam. The TV series – consisting of 30 episodes – recounts details from his life until the moments of his death. The series starts with one of the pilgrimage of caliph Umar where he delivers speeches to the pilgrims. Click on this link to watch it online on YouTube! Ramadan starts next week (27th May) which means that there will be many new TV series. On MBC 1, one TV show is named Black Crows (غَرَابِيبُ سُودٌ). It depicts life under the terrorist network ISIL. The New York Times wrote about it recently. ….aaaaaaand – there will be subtitles in English! The TV show will be shown on YouTube like Omar – after it will have been aired on MBC1. a certain black bird – the crow of which there are several species, i.e., the raven, carrion, crow, rook, jackdaw, etc. Note: This name (singular) was used as a proper name before Islam, which – as related in a Hadith – was changed by the Prophet Muhammad, because the word implies the meaning of distance, and because it is the name of a foul bird. Note: The name غُراب was used as a proper name before Islam, which – as related in a Hadith – was changed by the Prophet Muhammad, because the word implies the meaning of distance, and because it is the name of a foul bird. a special (good) kind of black grapes (الْعِنَب). One of the most excellent kinds of grapes growing in al-Ta’if (الطَائِف) in present-day Saudi-Arabia. Some commentators say that their veils were similar to crows regarding their black color. However, even traditional scholars do not take from this Hadith (nor from any reliable source) that the color of the veil must be black. أَسْوَدُ غِرْبِيبٌ means intensely black. But if you say غَرَابِيبُ سُودٌ, you make the latter word a substitute for the former, because a word corroborative of one signifying a color cannot precede as Edward Lane states. Actually this is usually the case as you put the word first which you want to emphasize on, and then you place the word for the emphasis. In the Qur’an, as shown above, this expression relates to mountains (streaks having black rocks). Other resources for Omar series as a learning tool.An excellent scholarly blog in English with an episode by episode recap with historical details. Any availability of Arabic subtitles /transcript for the Omar series. It is wonderful for listening practice even with English sun’s. But Arabic subs /transcript would make perfect study materials. If someone had in in with the producers or Network, they might be willing to help as they probably see it as a vehicle for mass education. The series Project MC2 on Netflix has Modern Standard Arabic dubbing and English subtitles, as does the series “Free Rein”. 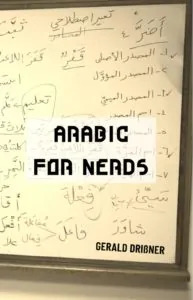 Any other sources for learning arabic through subtitles? i found some anime and there are plenty of movies subtitled on youtube but i need more (not movies) Anyone who can help? Thanks for the info. I would like to the show black crows with english subtitles. However, not speaking any arabic, it’s kind of hard to find them in youtube. Are they there yet? Could you help by posting direct links? It is online now. You find the link the post.